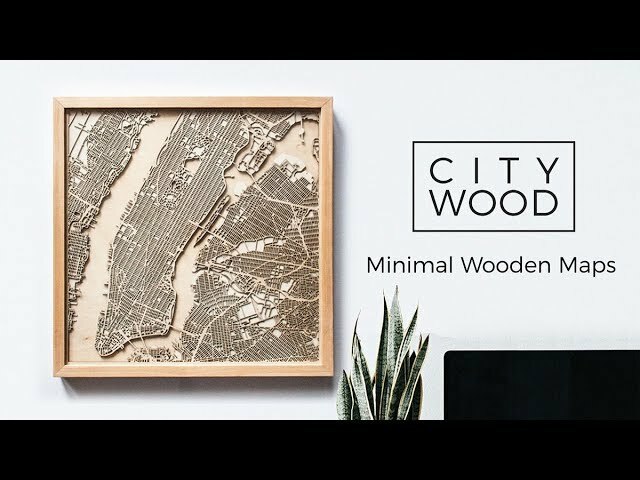 Created by architect and graphic designer Hubert Roguski, CityWood makes intricately detailed wooden maps with laser precision. Roguski started his journey with maps a few years ago designing a poster of his favourite city: Tokyo. Since then, he has created hundreds of graphics based on maps from all over the world, with his most recent project moving his maps into third dimension. Awarded with Gold A' Design Award 2018 and German Design Award Special 2019, these incredible works of art are the perfect ode to the city you love.